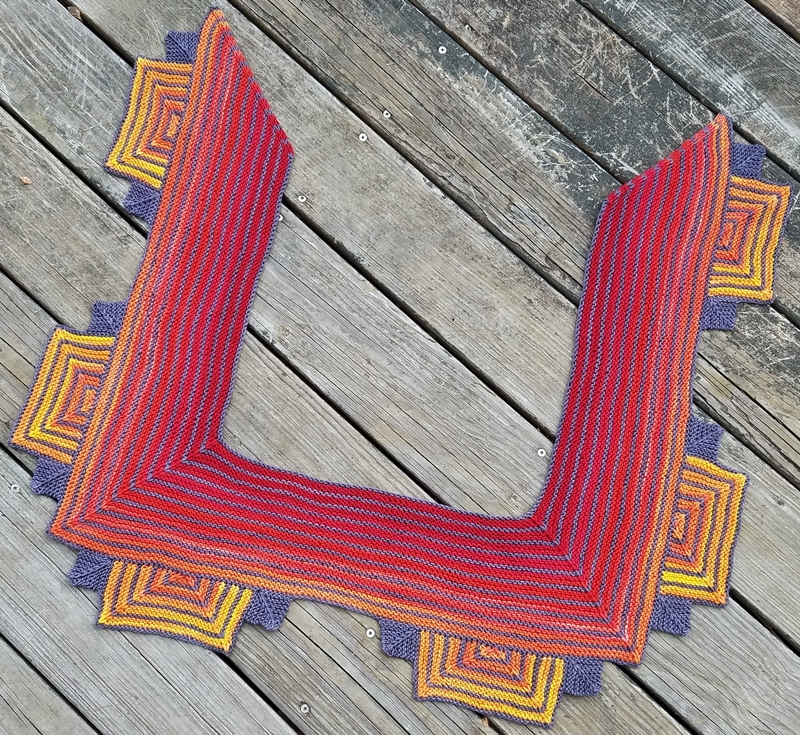 Now available on Ravelry: Kukulkan! 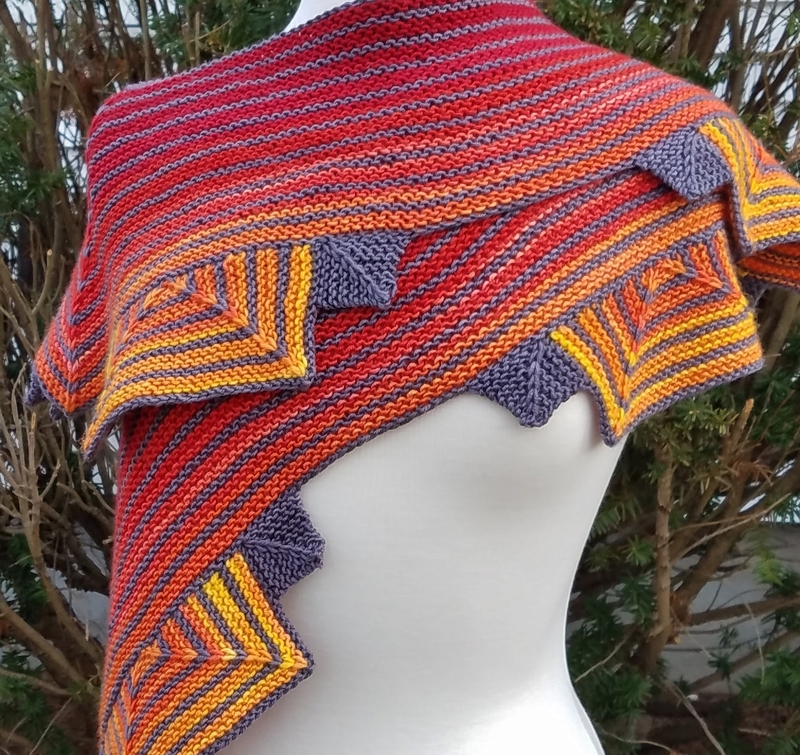 This striking shawl evokes the step pyramids of Chichen Itza, which served as a temple to Kukulkan. Little is known about the original mythology of this “feathered serpent” deity from Mesoamerica. In modern folklore, one story tells that Kukulkan flew to the sun to try and speak to it. The sun, too proud to speak to a plumed snake, burnt Kukulkan’s tongue. 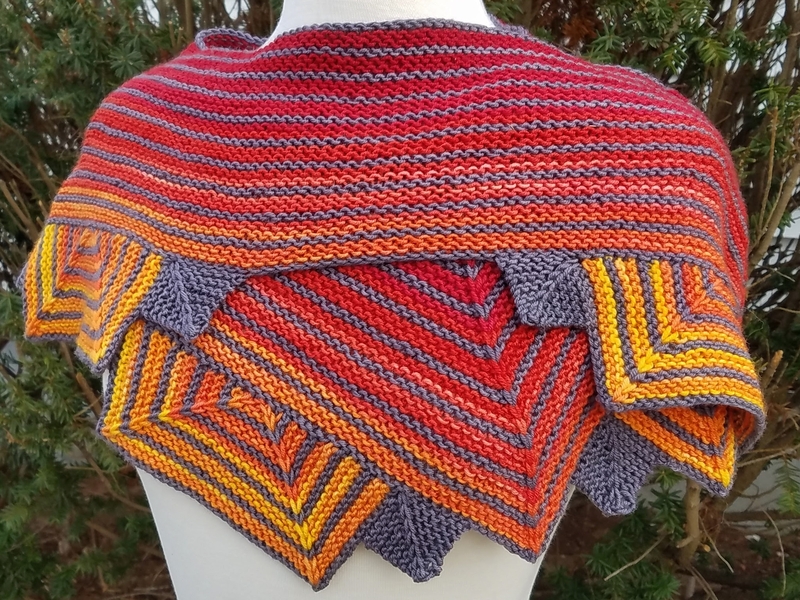 Designed especially for Aesir Minis from A Hundred Ravens, this shawl highlights the beauty of gradient mini sets. The rectangular tabs are worked first. 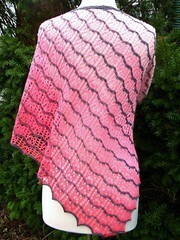 The main body is worked from a combination of picked-up stitches and cast-on stitches. After the main body is complete, the small solid squares are worked from picked-up stitches. No seaming required! This pattern has full written instructions (no charts). This pattern has been professionally tech edited.